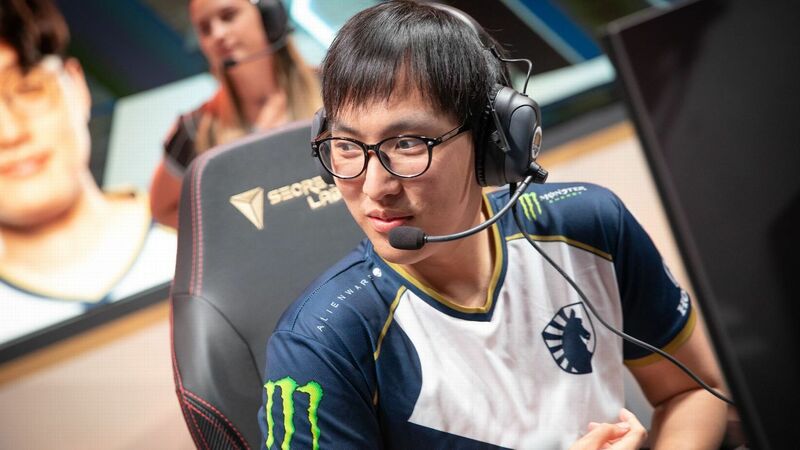 Team Liquid&apos;s Yiliang "Doublelift" Peng hopes to add yet another domestic League of Legends title to his trophy case, but first he has to get through former Team SoloMid teammate Soren "Bjergsen" Bjerg. When it comes to the LCS, Team SoloMid&apos;s name is synonymous with success. It hasn&apos;t translated to the international stage, though. After beating his former Cloud9 team in the LCS spring semifinals, Team SoloMid&apos;s Andy "Smoothie" Ta is ready for his next test against Liquid in the finals. Fnatic didn&apos;t have a pretty start in the spring split of the LEC, but some big changes turned the squad around. Faker used to be in Chovy&apos;s shoes: younger, more hyped up, part of an up-and-coming team. But Faker has experience, and Chovy? Well, he&apos;s just a bump in Faker&apos;s way. The Titans remain on top, but Seoul somehow snuck into the top five of our Overwatch League power rankings. While the triple-tank, triple-support composition in the Overwatch League is still viable, the addition of Baptiste has given teams more options in Stage 2. During the NCAA men&apos;s basketball Final Four events in Minneapolis, collegiate Rocket League drew thousands to its spring final tournament. ESPN #Esports64 bracket: Who&apos;s your favorite pro, personality or streamer? The ESPN #Esports64 returns. Who will be crowned champion this year? Victor &apos;Punk&apos; Woodley, Street Fighter champion. Top-seeded Team Liquid had no trouble with FlyQuest on Sunday, setting up a showdown with Team SoloMid in the grand final of the North America LCS Spring Split playoffs. Weeks after the death of his grandfather, an LCS quarterfinal victory against the Golden Guardians meant much more to FlyQuest jungler Lucas "Santorin" Larsen. Roster shuffle. Power Rankings. Standings. Features. It&apos;s all on our League of Legends hub page. How did Ninja become gaming&apos;s first crossover star? The "Fortnite" legend is relentless about one thing: He&apos;s always on. Bang was looking for a new challenge, so he&apos;s bringing his ADC talents to 100 Thieves in the NA LCS. How a teenage gamer in the hottest new esport, Overwatch, became a reluctant icon for South Korea&apos;s feminist movement.